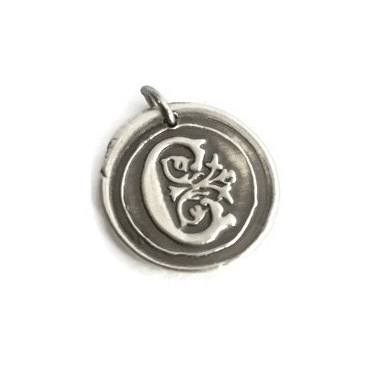 Reminisce times gone by with this vintage inspired wax seal pendant. This listing is for the pendant only, but if you would like to purchase a chain, please just let me know and we can add one for you. Freshwater pearls can be added also for $2 each in the "Upgrades and Add-On" section. Please contact me if you wish to add or make changes to your order and I'll be happy to create a listing for you. All letters of the alphabet are available in this style.